What's not to love about shortbread cookies? 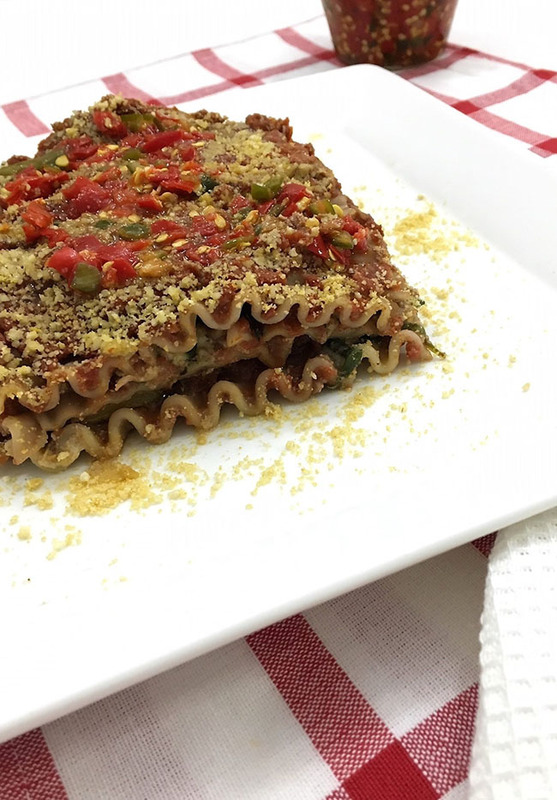 They are simple to make, call for very few ingredients and are sure to be delicious. 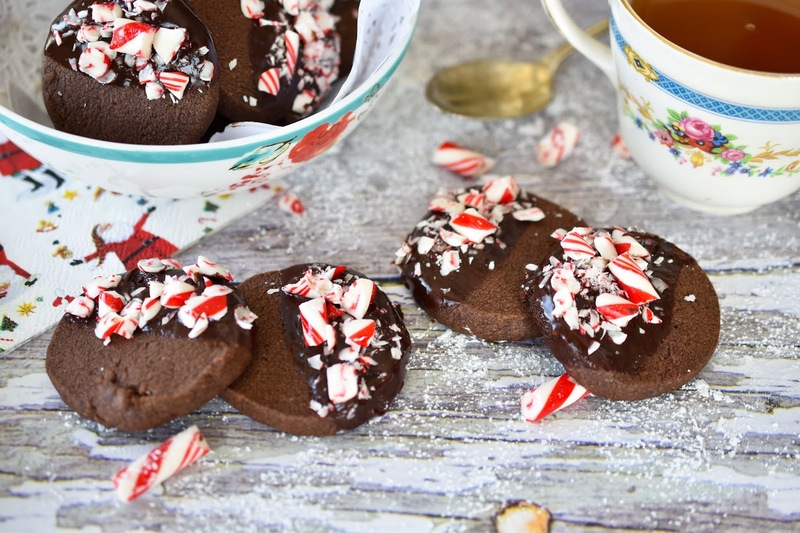 I have added these Peppermint Candy Cane Chocolate Shortbread Cookies to my Christmas repertoire this year because the only thing that could be better than shortbread is chocolate shortbread...with peppermint candy canes on top. And melted chocolate. It's a winning combination, as my testers can, well, testify. (My testers in this case were my kids, my husband, my niece and my sister-in-law.) "That's the best cookie I've had in a while," my sister-in-law said. 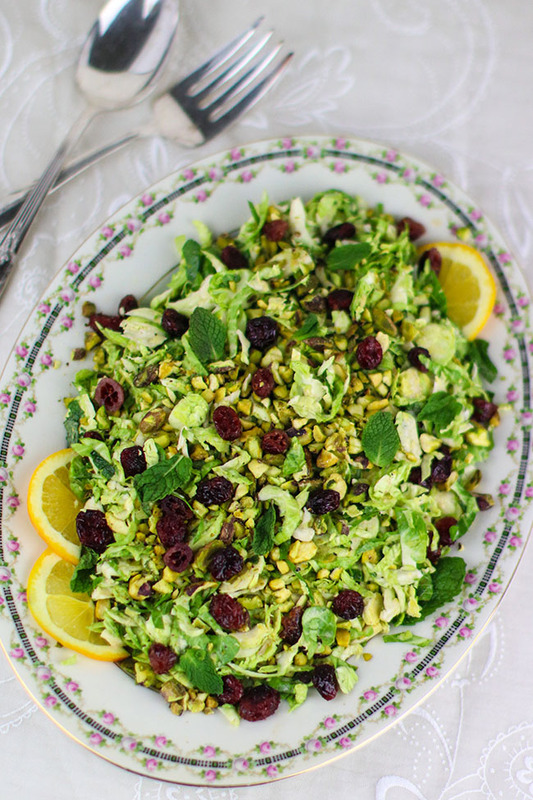 Also, read on for 10 more vegan Christmas recipes from my blogging friends. 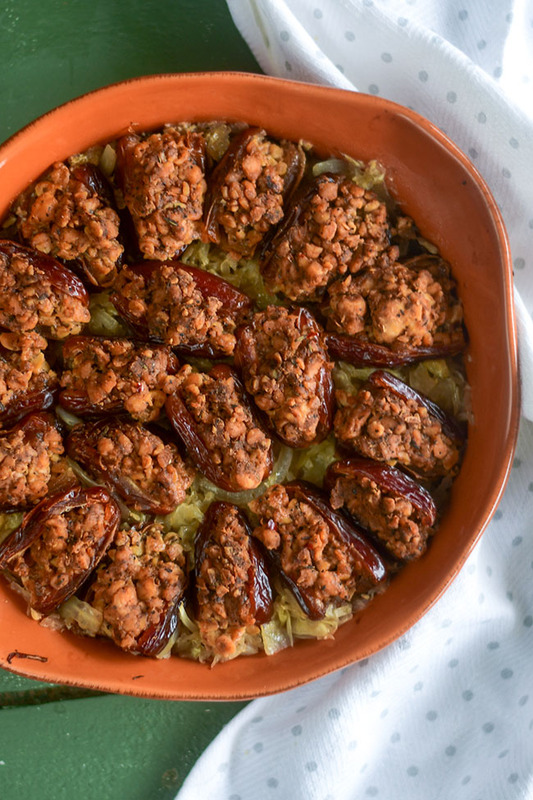 You can make a whole delicious holiday meal with these recipes, because there are recipes for everything from appetizers to mains to desserts. The basic recipe for holiday shortbread cookies usually includes butter, sugar, flour and vanilla. 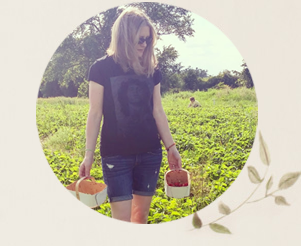 I know that many people think that butter is the key to successful shortbread, and you might wonder how you can make shortbread cookies without the butter. It's pretty simple - just switch out the butter for what people tend to call "vegan butter," which is really just dairy-free margarine (like Becel vegan margarine or Earth Balance buttery spread.) I promise you this dairy-free shortbread will be just as delicious as the "real" thing. Of course, this particular recipe is for a chocolate shortbread, which calls for the simple addition of cocoa. For the optional additional chocolate icing, simply melt chocolate chips with soy milk or another non-dairy beverage. These vegan Christmas cookies will be joining my Candy Cane Chocolate Fudge on my Christmas Eve cookie platter, along with date squares, Sweet Marie Bars and No-Bake Chocolate Dipped Peanut Butter Balls. Be sure to check out these other easy vegan Christmas cookie and squares recipes if you're looking to stock your freezer with holiday goodies to serve to family and friends (or eat yourself, straight outta the freezer like I do). The chocolate icing on these holiday shortbread cookies stands on its own as a pleasant topping for your shortbread cookies. But fortunately, the icing also acts as a great foundation to grip a lovely pile of broken peppermint candy canes! 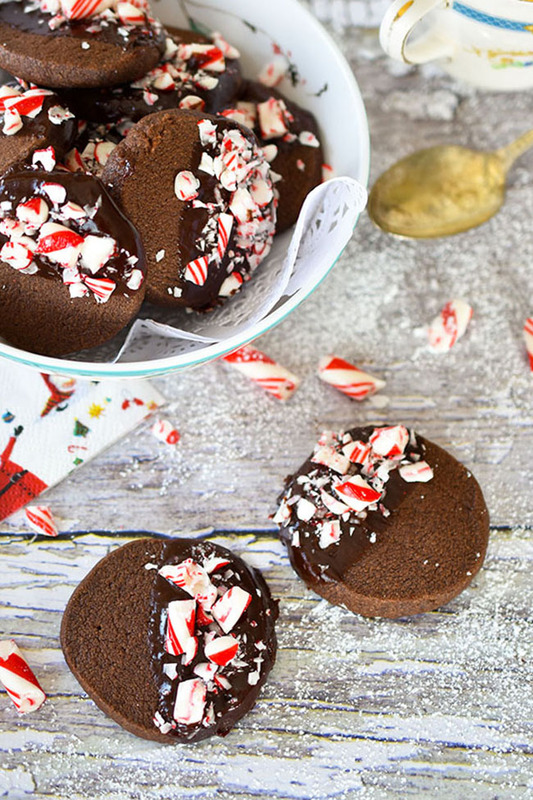 The contrast of the minty candy cane pieces with the chocolate shortbread cookie and the chocolate icing makes for a whole different cookie experience. 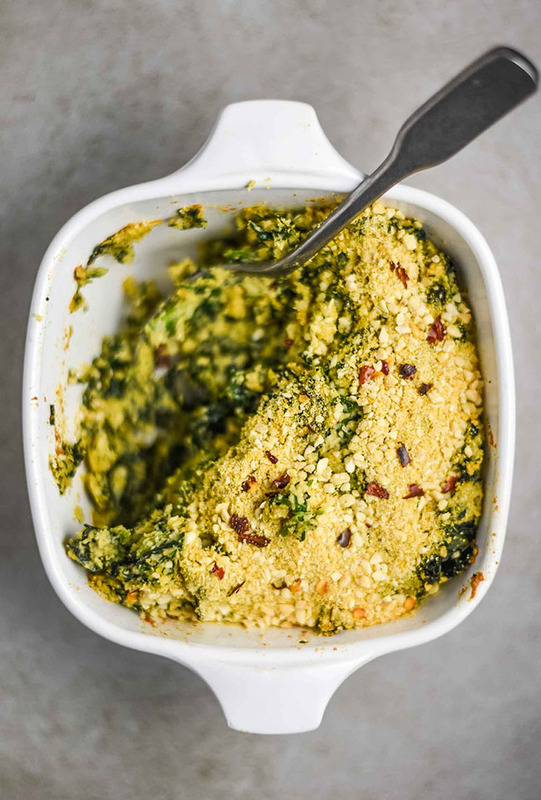 This is a great recipe to add to your holiday serving platter for your vegan friends, as well as those who are dairy-free and/or egg-free out of choice or necessity. 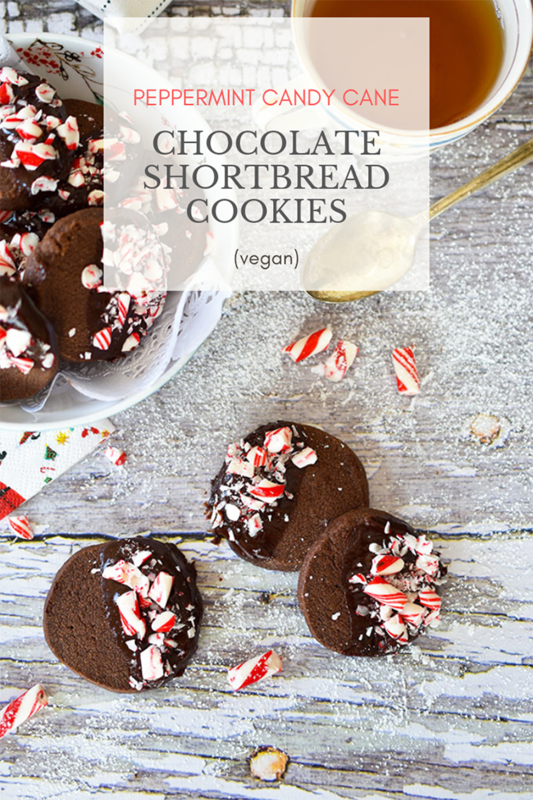 I hope you get a chance to make, taste and enjoy this easy vegan chocolate shortbread cookie recipe this Christmas. Let me know how it goes if you do! In a large mixing bowl, cream together margarine and vanilla with an electric mixer for 20 seconds or so, until creamy. In a medium bowl, stir together spelt flour, sugar, cocoa and salt until well combined. Add to margarine mixture and beat for about 2 minutes. Form batter into a dough ball with your hands. Shape into a cylinder (about 2 inches in diameter and 6 inches long) and wrap with plastic wrap. Refrigerate for 2 hours or overnight (if desired). Remove dough to cutting board and cut into 1/4-inch thick rounds. Transfer rounds to prepared cookie sheet. Bake about 15 minutes, until edges darken slightly and cookie middles are fairly firm to the touch. Allow cookies to cool. 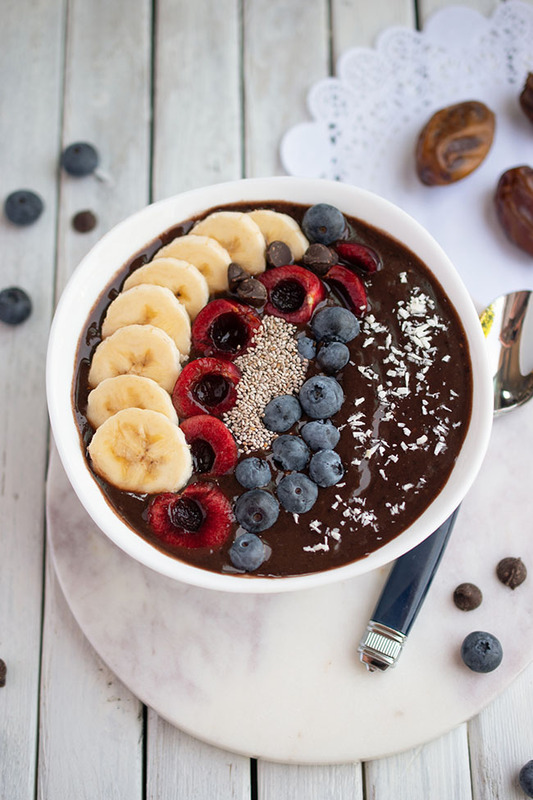 Using a double boiler or a stainless steel bowl placed over a pot of boiling water, melt chocolate chips with non-dairy milk. Stir until smooth. 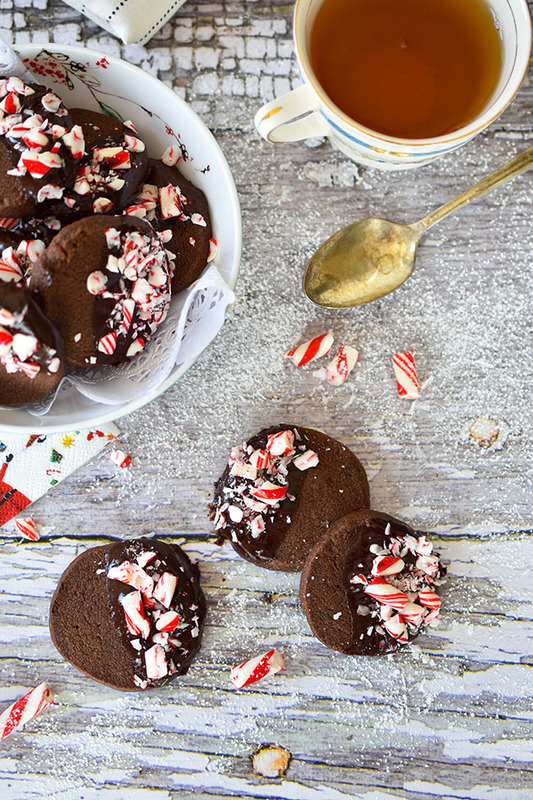 Dip cookies in melted chocolate or spread chocolate over the tops of cookies. Sprinkle on crushed candy cane pieces. 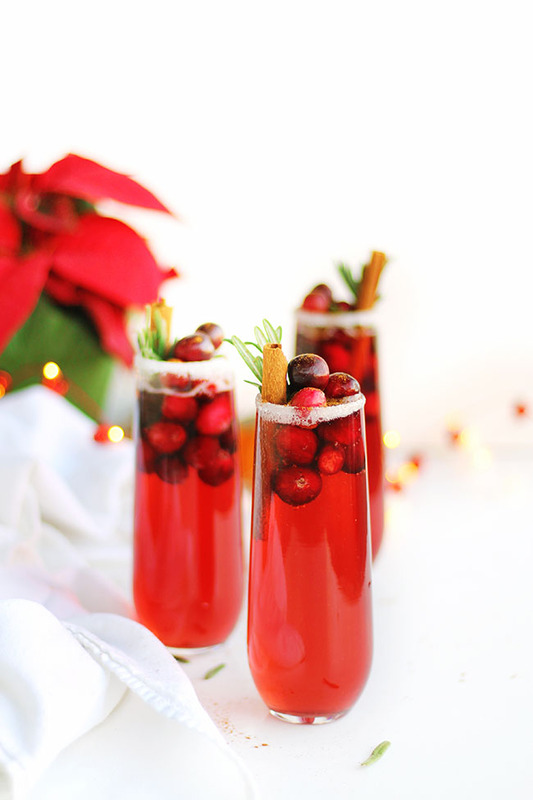 And now for a whole selection of delicious looking vegan Christmas recipes, starting with a yummy drink that you can sip on while cooking up appetizers, lasagna and dessert. 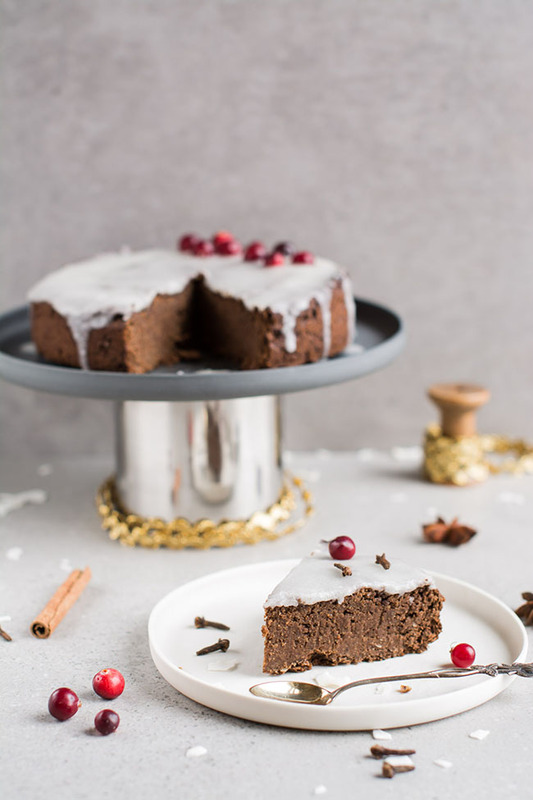 What's your favourite vegan Christmas recipe? Do you look forward to the main meal or the desserts most? These look so festive! Thanks for the great idea! 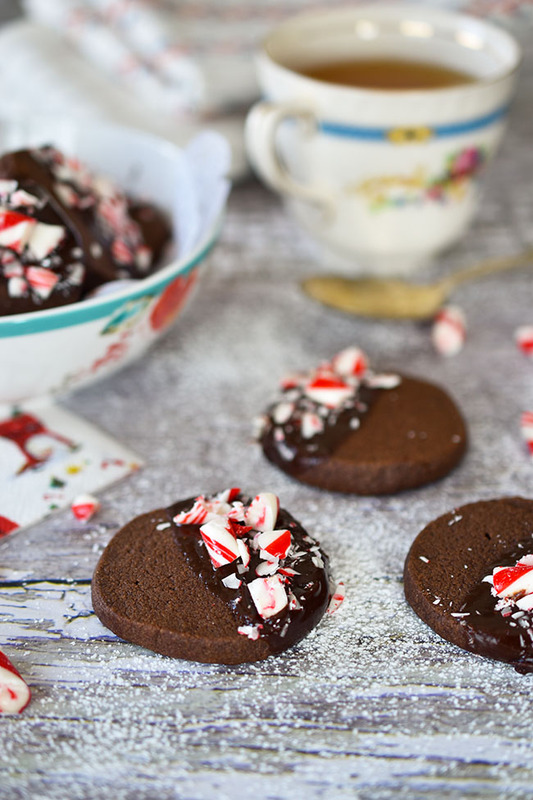 Chocolate and peppermint together! Yum! 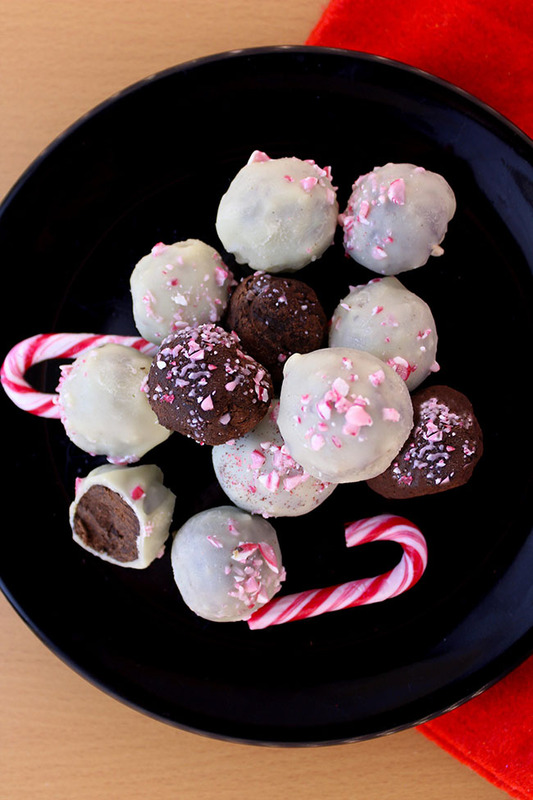 Those candy cane truffles looks divine. Everything looks amazing and delicious! 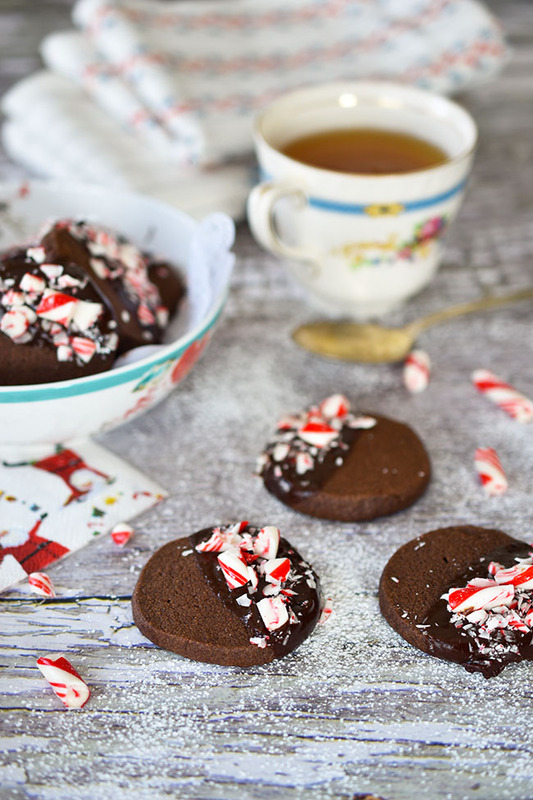 Nothing says holiday like peppermint and shortbread! 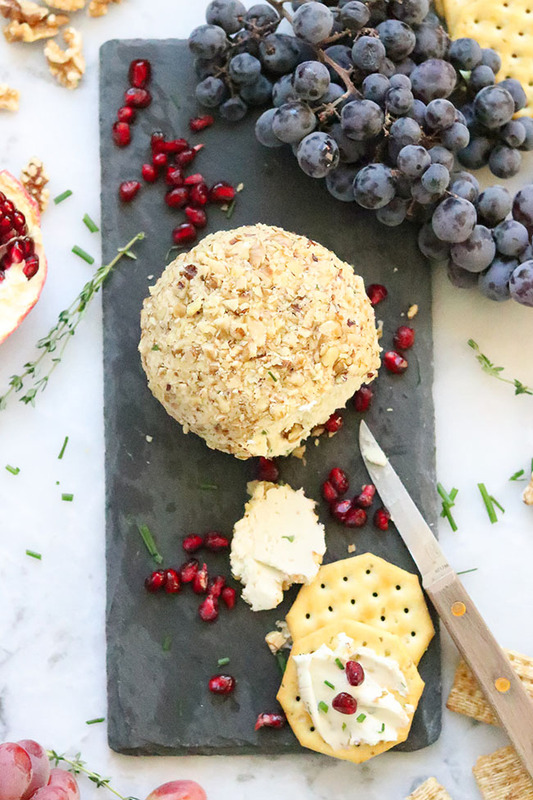 What a great spin on two holiday staples. I will have to try them. 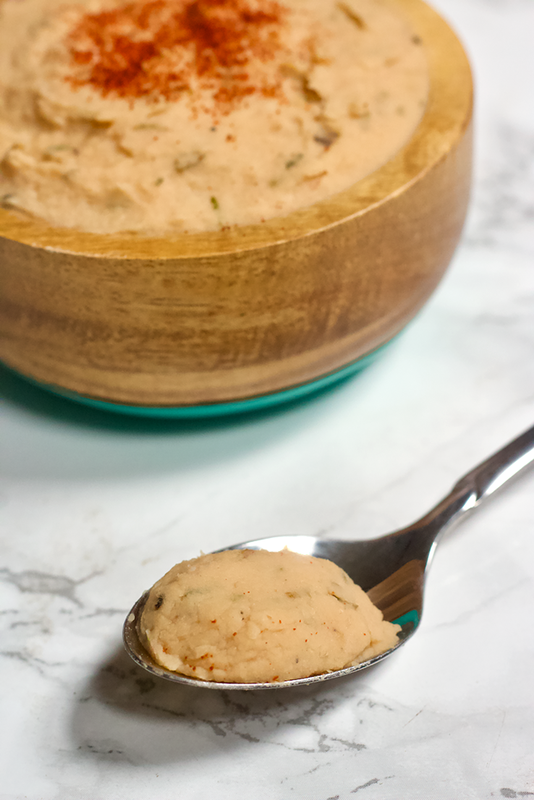 What a great recipe--plus perfect for hosting! 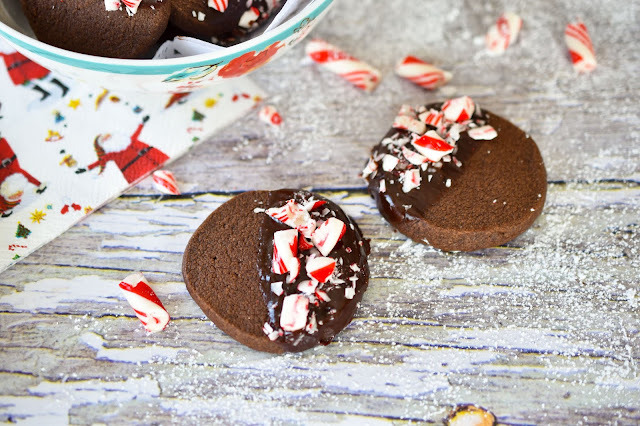 Candycanes,chocolate and shortbread in one cookie!! Must be delicious!